Specially Designed Sizes Fit Babys Mouth Growth.7 Prime And Attracted Colours. Cute Design For Babys. It's time for solid food to show up on your baby's menu. 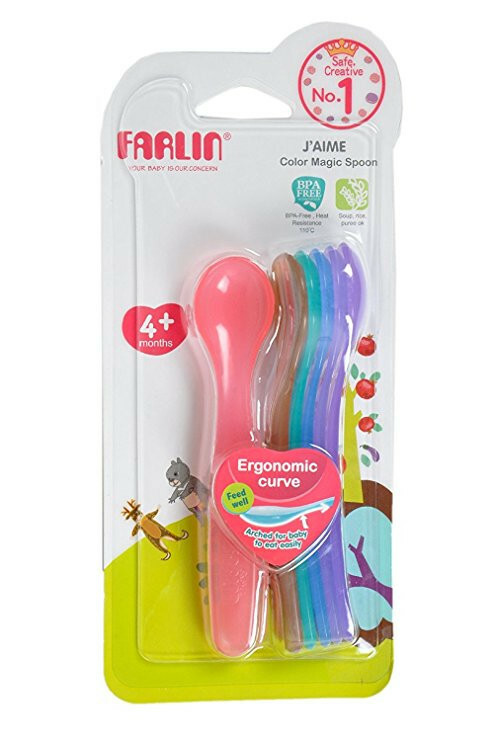 Farlin Colorful Magic Spoons is specially designed with appropriate length, width and depth, that is suitable for babies.Nutrition plays a vital role for every baby's development and feeding enough nourishment is a major concern for every parent. Farlin Color Magic Spoon- Elder 12m+ makes meal time fun for your little one. Specially designed for babies, this spoon perfect satiates your baby's demands of eating.